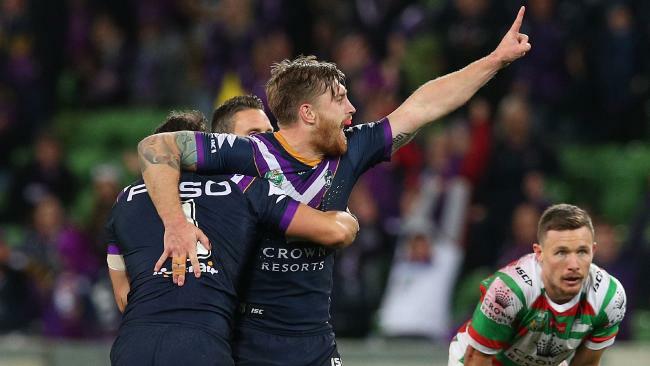 UNFLAPPABLE Melbourne Storm gamebreaker Cameron Munster will not baulk at taking another potential match-winning field goal - as long as his customary pre-game pot shots split the uprights. 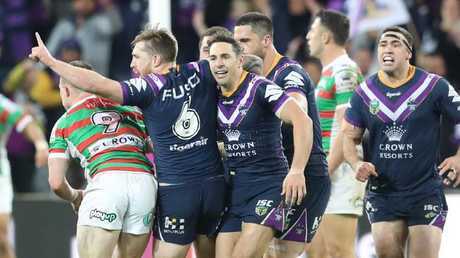 Munster, 23, sent the Storm to Friday night's preliminary final with an "ugly as sin" field goal winner to seal a come-from-behind one-point win over South Sydney in the first week of the finals. "I'm not too scared to have a go and if it doesn't pay off then I'll just go back to the drawing board, ready to do it again," Munster said on Monday. "If it comes to crunch, I'll try but I can't guarantee it will be something similar to what happened (against Souths). Hopefully I kick it a little bit better. "I don't practice at all, I feel like if I practice too much I'll end up kicking it to the left or to the right into the crowd. "I usually do a couple field goals before the game ... if I nail them then I'm normally on, if I don't then I'll tell (Cameron) Smithy or someone else to kick them." The clutch moments, previously, rested with Storm champion turned Sydney Roosters playmaker Cooper Cronk, but since his departure Munster and Smith have taken on the kicking duties. Emerging halfback Croft also slotted a match-winner last year, in a mid-season cameo during the Origin block. Munster texted Cronk to boast after his match-winner. "I just said to him, 'I know what you feel like when you kick a field goal, it's a good winning feeling', and if I get to play against him again I'll let him know about it," Munster said. 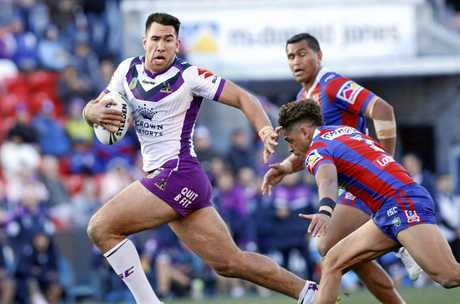 The Storm will be at full-strength for Friday night's blockbuster against Cronulla Sharks with Nelson Asofa-Solomona and Will Chambers poised to return at the expense of Cheyse Blair and Sam Kasiano. The Sharks have won four of the past five matches against the Storm, including twice already this year. "He's (Asofa-Solomona) hard to handle, especially at training, I hate tackling him. I'm sure the Sharks hate tackling him as well," Munster warned. "He'll be a great weapon. I can't wait to watch him skittle some blokes. "We know they're going to come down here and start hard, that's something we need to do, we can't be on the back foot in the first 15-20 minutes because the game could be gone by then. 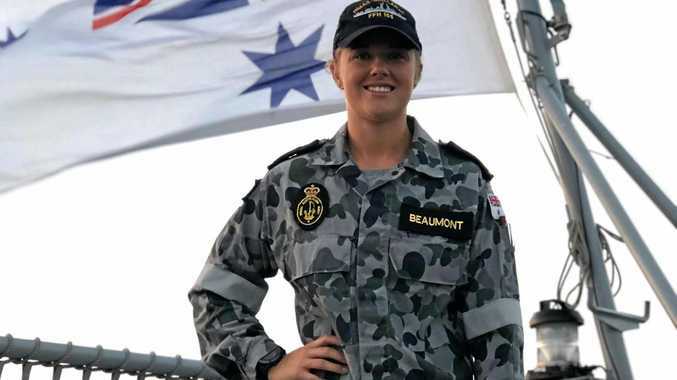 "We need to start hard and fast. It's going to be won in the middle. Us edges can do what we like but our forwards need to go forward for us backs and halves to get the job done."